Those of you who are regular readers here will know how much I love a good skincare product. A good skincare routine will leave you with glowing, healthy skin that makes it far easier to go lighter on the makeup (or, as I tend to do, not wear any at all!) so getting your skincare locked down is crucial for those of us who want to spend the majority of our time makeup-free. 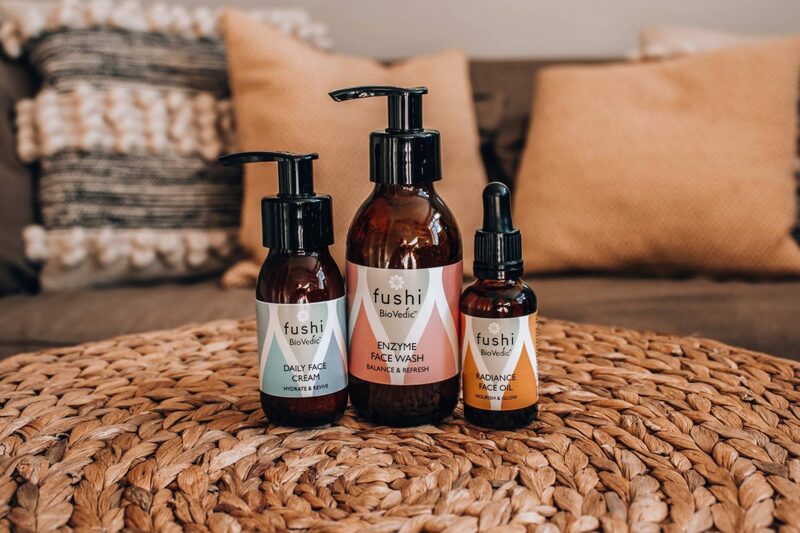 Fushi have recently released their BioVedic skincare range, and they were kind enough to send it my way to test out. 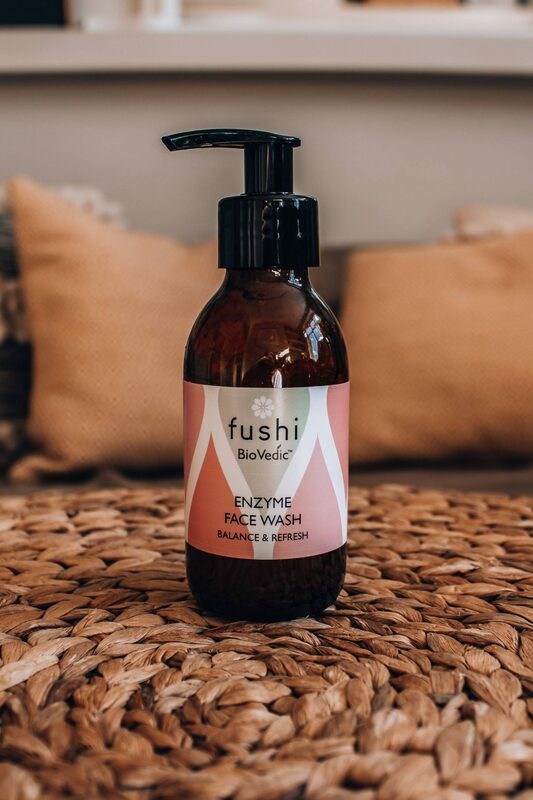 There are three products in the collection – Enzyme face wash, Radiance face cream and Radiance face oil. I love a good face wash, and I’m fairly picky when it comes to the formulas that I like. I tend to opt for oils or creams, as I find they’re best for maintaining my skin’s hydration levels. Alternatively, I love a light exfoliator that I can use daily, and that’s exactly what this face wash is! It contains a light concentration of grains that gently buff away dead skin cells and leave your skin feeling soft and clean. I love a good face oil – they’re perfect for popping on before you go to sleep for some overnight hydration! This one is a lovely light formula that quickly and easily sinks into your skin. 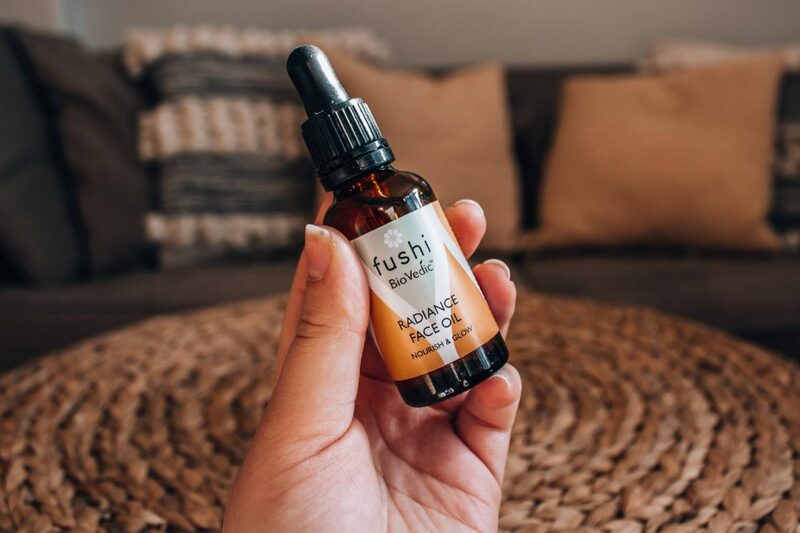 I use 5-6 drops, and only use it before bed as I feel using it during the day would leave me feeling a bit too saturated before applying my makeup! This face cream is a bit heavier than others that I use, and it doesn’t include an SPF so again it’s something I would just use in the evenings! 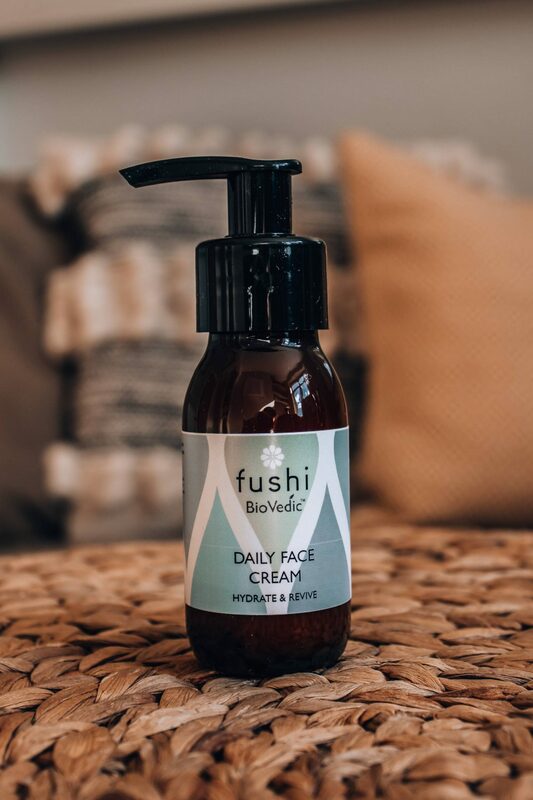 Half a pump is more than enough for your whole face, and once it sinks in it’s a lovely cream that leaves my skin feeling really hydrated and nourished. It’s a bit pricey at £20, but as you only need a small amount I definitely feel it’s worth it. "Zoella x Colourpop – is it worth the money?"